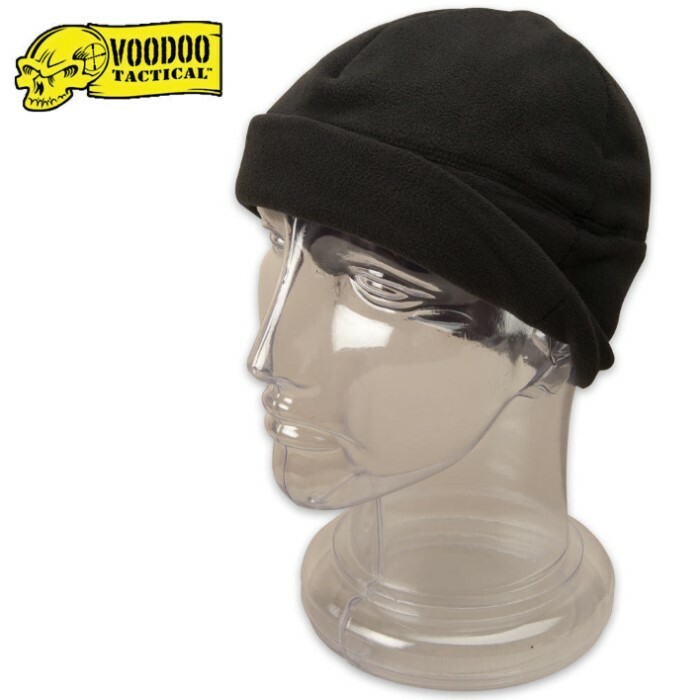 Voodoo Pro Fleece Cap | BUDK.com - Knives & Swords At The Lowest Prices! Stay warm with this double-layer, full-size beanie Pro Fleece Cap. The soft, warm, and durable long-wearing micro fleece design provides full ear coverage and fits comfortably under a helmet.